We give the best of ourselves to the task at hand. The Quickfit Group has been operating in the interior commercial construction industry since 2010. 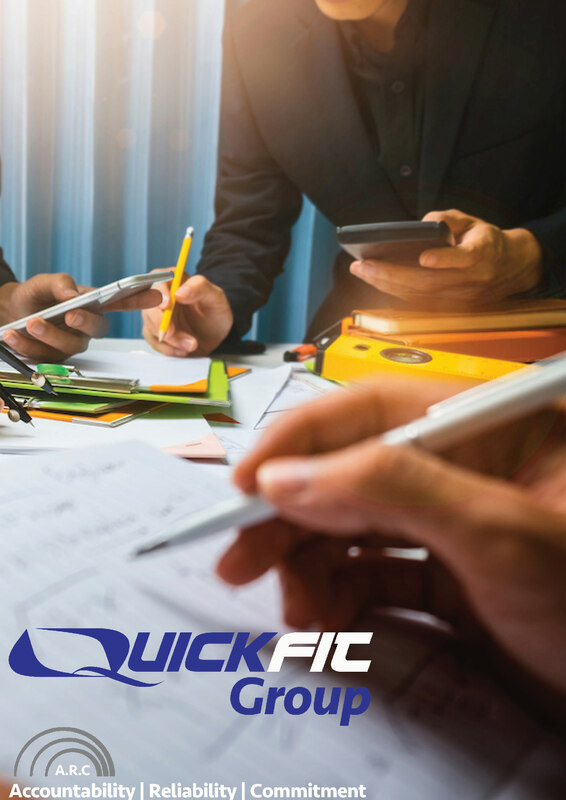 Established by John Mitzikis, who has over 15 years experience in the industry, the Quickfit Group has grown and expanded over the years to include our own inhouse team of experienced Estimators, Contract Administrators, Construction Supervisors, Project Managers and tradespeople. All of whom are focused on delivering high quality workmanship, innovative solutions and personalised service. The values we live by are Accountability. Reliability and Commitment. A.R.C. The arc is one of the strongest engineering structures you can build so it is fitting that the values Quickfit embodies in all aspects of work are reflected in the A.R.C acronym. Since starting in 2010, Quickfit has been working with multinational companies such as GPT, Lendlease, Westfield and JLL undertaking both commercial fit outs, defits and make good works in their large regional assetts. We take safety and training seriously, receiving annual pre-qualification with CM3 and BROWZ, providing you with the assurance that you are working with a “safe, qualified and socially responsible” company.